What is Good Service Quality in Safety Monitoring? As with many services, quality of safety monitoring can be a difficult thing to quantify effectively. With hundreds of organizations trying to tout their solutions, how do you recognize a winning service offering from a middle-of-the-road one? To answer this question, we look to the five elements of service quality: reliability, assurance, tangibles, empathy and responsiveness. These five elements make up our perceptions of service quality every day, from the police that patrol our streets to the service received in a restaurant and they very much apply to safety monitoring as well. In regard to safety monitoring, reliability can mean the difference between life and death. Reliability is the measure of whether a product or service will function correctly when used. Any safety monitoring system worth its salt should have an extensive system in place to ensure that reliability is achieved regardless of the circumstances. Buying Strategy: Any company that sells safety monitoring equipment will be more than happy to let you test out its products. Take the opportunity to ensure that the devices, apps or processes that are offered function as you expect. Also be sure to inquire about the fail-safes that the company employs. Companies dedicated to providing reliability will often have multiple server locations to ensure that your workers never find themselves stranded without aid. There’s no room for the hard sell in safety monitoring... understandably, it is a touchy subject. Any company aiming to provide you with safety monitoring should to understand your organizational structure and work processes intimately. Likewise, potential solution providers should have a strong understanding of the challenges in organizational safety as it relates specifically to your industry and be capable of solving them. Without that core understanding, it would be extremely difficult to provide a safety monitoring solution that could function seamlessly in your current work environment. Remember, a safety monitoring system can and should make your life safer and easier. Buying Strategy: Don’t jump at the first safety monitoring solution offered to you. Like purchasing a car, you should shop around and find the system that not only contains the features and price-point that you are looking for, but also fits with your organizational structure and requirements best. Some safety monitoring solution providers will even customize their products to ensure that your organizational requirements are met properly. Look at what organizations similar to yours have been using to set a benchmark. Determine what you like and don’t like about your competitors systems and then find a solution that provides you with exactly what you need. Safety monitoring systems inevitably require physical components in order to function. Whether those components are pieces of monitoring equipment, people or written educational materials, the tangibles used by a safety monitoring solution provider should be of good quality. Buying Strategy: Be sure to thoroughly test out any equipment included with a safety monitoring system prior to buying-in to ensure durability. If a solution provider is offering a service that will continue over time such as data storage or call dispatching, be sure to inspect the location from which the service is offered. Have you ever called a sales-person to request help with a recent purchase only to find his demeanor completely changed now that he has your money in hand? Sadly the world is full of organizations that do not care about relationship-building but would rather just take your money and let you go. Empathy is the cornerstone of the relationship building that occurs between clients and the organizations that serve them. Buying Strategy: When looking for a provider for safety monitoring solutions, stick with the ones that are more interested in helping you solve your problem and try to understand the problem from your perspective. If an organization keeps pushing the features or benefits that are not of value to you, steer clear! The purchase of a safety monitoring system is all fine and dandy, but what value does it have if the services that you are supposed to be receiving are not provided in a prompt manner? 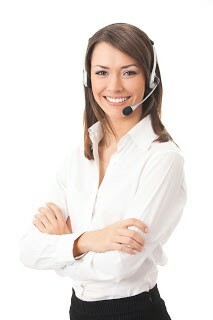 An organization's eagerness to provide you with service is responsiveness. In safety monitoring, this can play numerous roles including technical support, system setup and execution, or even call center operations. An increase in responsiveness is the typical objective that is desired when employing a modern worker safety monitoring solution. Buying Strategy: Always elect to employ a provider that has the resources and desire to provide prompt service. Look for any obvious bottlenecks in operational processes such as lack of operators or phone lines and be sure to get all the relevant information needed in regard to how safety information is transmitted and received. Always remember to take your due diligence in selecting the system that works for your organization. Aside from service quality, other factors such as cost, level of monitoring needed and the complexity of the system must also be considered. This free service quality check-list can help you to ensure that whatever solution your organization adopts will meet both you and your clients’ expectations. Download it now!